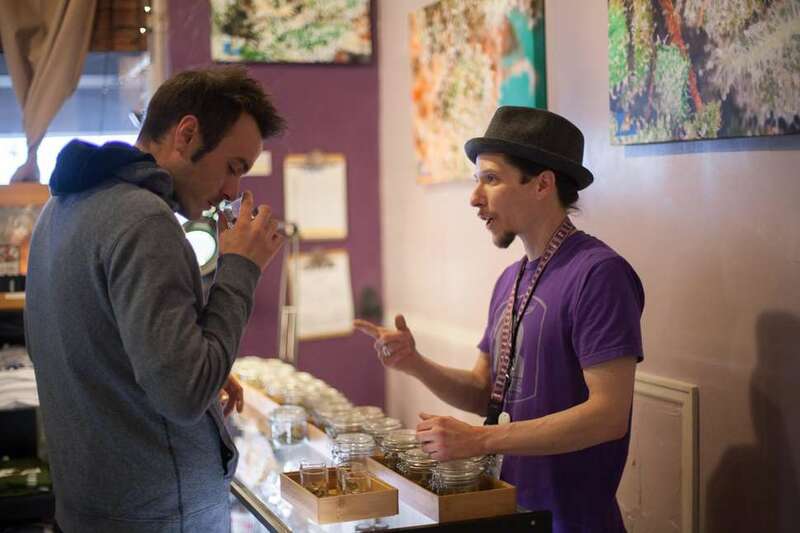 If you're new to cannabis or to the city of Denver, it's quite possible you’re feeling overwhelmed by the amount of recreational weed options here. 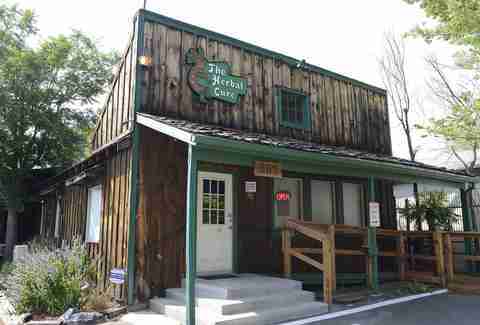 In fact, more than 500 outposts are luring you in to spark up and gobble down hundreds of THC-infused products. That said, if you are not new to either the city or pot, and love to legally get stoned, let us pose this question: where do you go when you want to spend your hard-earned green on some locally-grown green? From organic and sustainable flower to innovative concentrates, like "caviar," we’ve narrowed down the 12 best recreational dispensaries in Denver for you, along with their most enticing deals, so you can get a well-rounded buzz while burning a fat pre-roll... instead of a hole in your wallet. Lucy Sky goes the extra mile to deliver a rewarding customer experience. A mission that seeks to ensure a lasting bond between ‘cannabis advisor’ and consumer, education is key for this four-outpost brand. Self-grown flower is harvested at a 40,000-square-foot warehouse, and hand-manicured and quality-checked prior to delivery, with top strains including Purple Champagne, Squirrel Master Kush (from Chong’s Choice, which is grown exclusively for the Tommy Chong brand), Crescendo and Acapulco Gold. When it comes to wax and shatter -- at $20 per gram, out the door -- Lucy Sky partners with smaller operations to ensure the best product for the best price. Still, there’s EvoLab disposable, 500-milligram cartridges for purchase, as well as some of the best live resin in the state, with competitive price points ranging from $29 to $42 per gram. Supplying its exclusive vendors with the finest home-grown plant material ensures Lucy Sky remains high on the concentrates totem pole. With deals in play every single day of the week, and Lucy Bucks up for grabs (get $5 off $30 the following week), throw a few extra coins in the meter, and take your time at this lit shopping spree. L’Eagle applies sustainable, environmentally friendly practices brand-wide. Unsure which cannabis product is right for you? A passionate, knowledgeable staff ensures you will find exactly what you need. When it comes to flower, L’Eagle’s grow staff features two degreed horticulturists and nearly 40 years of commercial cannabis techniques, which produces buds that are cured properly for 60 days prior to sale. A large selection of 25 to 30 organic flower strains keeps the regulars lining up, from L’Eagle Eagle, with sweet pine and lemon notes and uplifting effects, to the award-winning Austin Hash Plant. With plants that eat better than most people, this 10-year-old company utilizes only the best nutrients available. The ethics carry into L’Eagle’s concentrate creation, as well, where in-house offerings feature the cleanest rosin (using only heat and pressure; no chemicals or solvents) and caviar (featuring Girl Scout Cookies flower, dipped in freshly pressed, 100% solventless rosin, and rolled in freshly sifted kief), which are crafted away from the shop and grow. But don’t let the organic nature fool you; L’Eagle serves up deals for an affordable green smoking experience. Sign up for text message blasts for the skinny on half-price specials, random $10 eighths on a snow day, $15 grams of live resin and more. On a regular day, you can still cop a $99 ounce and a $16 eighth, and feel great about blazing up in sustainable style. Homegrown bud that leads to concentrates is at the core of this 10-year-old Five Points staple located next door to the famed Cervantes’ Masterpiece Ballroom. With a whopping 40 individual flavors of concentrate gracing the rec case, you can find crumble, high-terpene sugar, shatter, rosin, live resin, sauce, THC diamonds and Denver Nuggetz (Kush Concentrates Caviar). Vape enthusiasts can grab oils and distillates in 1-gram cartridges, or syringes for at-home refills (including beneficial CBD:THC infusions). DKC also carries a wide variety of its house-filled Kush Concentrates PAX pods. For those who prefer traditional flower, DKC grows up to 25 strains at a time, including signature kush (duh!) buds -- Denver Kush (hybrid) and White Fire OG (indica), in addition to popular strains like Strawberry Cough (sativa) and Grape Ape (indica). Over the course of the past year, DKC has joined forces with several musical acts with large Denver followings to collaborate on signature strains. Be sure to try Lettuce Funk (from Lettuce), Squabtrain (from Sunsquabi) and Bio Science (from Break Science), while supplies last! Known for connoisseur flower and exceptional customer service, art installations aren’t the only component that welcome all to this mom and pop shop, which hosts an on-site grow for aromatherapy. With vapes from Binske and Green Dot Labs, concentrate selections via Harmony Extracts and 710 Labs, and edibles courtesy of Cloud 9, Wana, and Robhots, this full-spectrum operation has a flavor for every indulger to savor. Shelving 100% Herbal Cure flower, customers can expect nothing but consistency and quality from harvest to harvest. Top-selling flowers range from Dosidos to Frankenberry and Pucker to Papaya Punch. Still haven’t found the Cure? New customers get hooked up with 25% off their first purchases, along with $20 eighths, every day. Botanico’s two on-site consultation/shopping rooms provide easy access to knowledgeable budtenders, sans the pressure of a possibly judgy, crowded showroom. 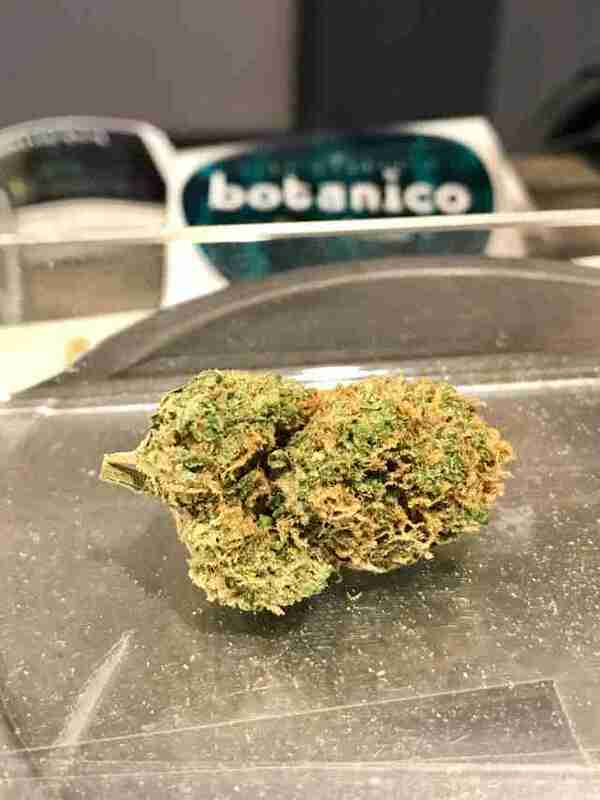 With a goal of carrying the best of the best Colorado inventory, Botanico now sources strain selections from 14’er in Boulder and Summit out of Denver. For a real treat, try Coda Signature’s designer truffles or 100-milligram flavorful chocolate bars, while vapes default to local, quality products, from Ascend’s High-Terpene Extract line to the multi-label, family-run Green Dot Labs. Those looking for a more concentrated high can grab full-plant extraction live resin by the gram (for $30 to $55), laced with tasty terpenes, and grams of shatter are priced out at $16 to $18 regularly. And, with $125 pre-weighed ounces on deck and nearly 20 rotating specials, even the most paranoid smokers can stock up -- in proper preparation for an imaginary Denver weed drought, of course. Shifting its gears in 2019, Northern Lights will no longer stock its shops with homegrown buds. Instead, the team plans to source from third-party grows, in an effort to offer more options, beyond the former household genetics. Flower fans can, instead, expect a more eclectic selection and a wider variety of strains. When it comes to concentrates, expect an array of 20 brands, along with one of the biggest selections of PAX pods in the city. In fact, on any given day, shoppers can find the largest inventory of individual grams of concentrate up for grabs, totaling into the hundreds. Having trouble hashing it out? Visit on Tuesdays and Fridays for deals on both concentrates and cartridges. Self-grown flower from four cultivation sites is at the core of this Boulder-born brand. 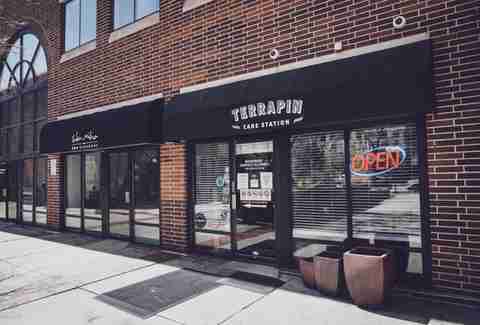 Spark up a signature terrapin joint, designed for individuals, for a smaller taste of the ganja. Not sure which strain to sample? Buds to bookmark include Hells OG, Moonshine Haze, and Princess Leia, along with Terrapin-only house specialties like Ugly Stepsister, Heaven’s Devil, Wife’s Lemonade (a heavy-hitting CBD strain) and Elphaba’s Bliss. When it comes to concentrates, TCS’s own Double Bear line is produced in a state-of-the-art lab where live resin is extracted regularly through the use of high-quality trim. If you’re a fan of this station’s supply, join the 420 Club, which reimburses you $42 (10%) towards any purchase over $50 when you spend $420. More deals are available daily, and cover edibles, reserve products, cones, tinctures, topicals, and merch. Hand-grown plants cultivated in living, recycled soil contribute to Verde Natural’s unique and vibrant flavor profile. Whether it’s Chemmy Jones, Papaya, Hazelnut Cream, or OG No. 1, these indoor buds are fed an all-organic diet, and have won awards for both taste and potency. Verde’s smooth aftermath upon inhalation is a product of this mindful harvesting technique. To create concentrates, Verde’s flower is extracted into solventless Dab Logic products, like Live SHO, Ice Oil, Ice Sauce, and the newest addition of cartridges to the lineup. With four joints for $20 and buy 8 grams, pay for 6 on solventless items, even premium product is available at a lower cost. Stunning interiors, Chihuly glass art, and a pet alligator named Diego aren’t the only attractions at this top-notch locale. 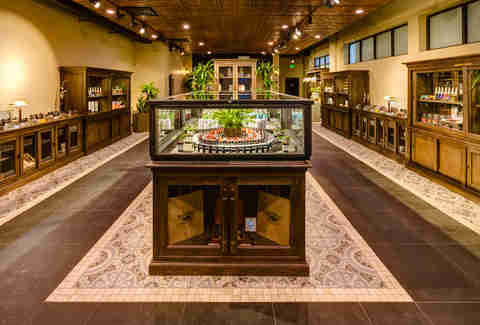 It’s about the consumer journey at Diego Pellicer, with a strong focus on the shopping experience. Rotating vendors have a chance to share the center display case spotlight, while inventory offers unique discounts and hard-to-find products. The namesake pays homage to an 1800s hemp entrepreneur, and the quality cannabis stems from two company grows, which regularly test with THC levels into the mid-30 and high-20 percentiles (that's really good). Highly regarded for potency and well-grown genetics, this upscale outpost carries brag-worthy strains such as Witches Weed, Critical Mass, and Lemon Skunk. As far as concentrates, Diego Pellicer offers 7-gram live resin and rosin “buckets,” THCa crystals, solventless and freeze-dried concentrates, and CBD isolate. Don’t judge this dispensary by its decor, though -- grab $20 eighths, $6 grams, $100 ounces and $15 grams of wax/shatter every day of the week. 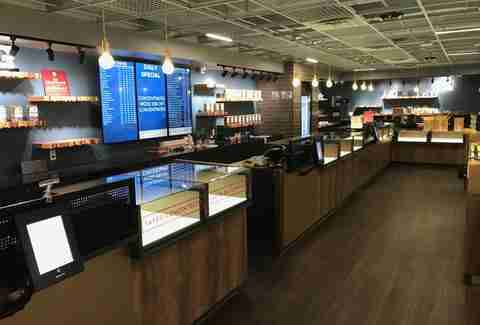 A 40,000-square-foot cultivation facility anchors the operation at this four-branch dispensary. With up to 50 different strains growing at a time, there’s plenty of variety when it comes to indica, sativa, hybrids, and CBD options. When not serving up the local flower, Wana gummies fly off the shelves daily. Third-party concentrates are aplenty at Medicine Man, including selections from Batch, Become, Green Dot Labs, Concentrate Supply Co. (CSC), Binske, Nomad, and Chronic Creations. A massive inventory of famed PAX pods also decorates the shelves. With specials every day of the week -- like Wildcard Wednesdays -- where you can choose any deal that suits your needs to promotions on top-shelf ounces, edibles, shatter, wax and live resin, you can fill your shelves for weeks to come. 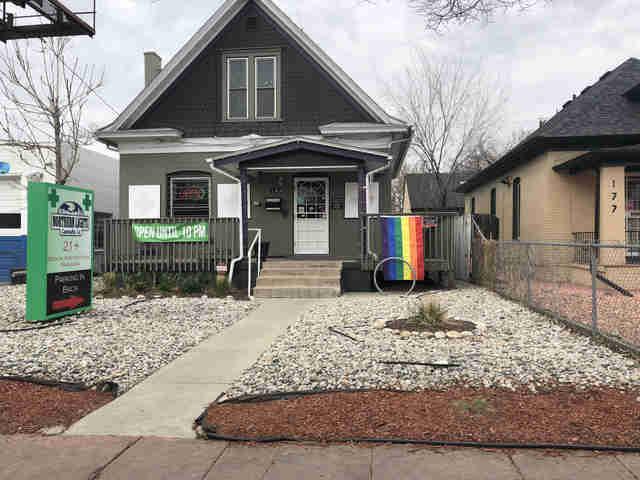 THC (as it's known) offers 20 to 30 varieties of award-winning strains, and green thumb fans of the joint can cop some exceptional seeds at two of the locations (with a third rec-only spot in Boulder now added into the mix). From Durban Poison to Strawberry Nightmare, it’s more than just catchy bud names that will get your foot in these doors. Aside from a strong focus on ethical and local grows to top potency and effectiveness, visitors can take advantage of deals -- seven days a week. This “home of the $99 mix-and-match ounce” also offers buy one, get one half-off edible Saturdays, where THC certainly keeps the traffic flowing. And, for the early bird stoners that can make it in for “happy hour,” which ensues during the first hour of business each day, you can choose your own deal from the daily roster. A self-proclaimed “hash lover’s paradise,” this spacious spot just over the Denver County line carries top-notch, local concentrates. Whether it’s Green Dot Labs, Head of Honey, KAMA Extracts, or 710 Labs you seek, the dab- and vape-friendly inventory is vast. With well-informed consults around to advise until midnight, learn about hand-trimmed house favorites like Alien Rock Candy, which tests upward of 35% THC. Thinking about planting your own nursery? Trust in clean, high-quality clones and seeds with elite genetics including Gorilla Glue, Ghost OG, and Girl Scout Cookies up for the taking. Tracy Block is a Denver-based writer who currently pens for Thrillist, Westword, 5280 and BizBash. Follow her adventures on Instagram @traydadiva, from the slopes of Colorado to her seasoned cast-iron skillet.